We worked on the topic of urbanization with my 6th grade students (12 years old). The idea was to discuss the evolution of cities from antiquity to present time, urban growth around the world and relevant issues, and to deal with aspects of modern city life as they and their families experienced them. On starting the topic I presented them with two paintings by Cyril E. Power and LS Lowry, 20th century English artists of the emerging modern city. What more can you find or think about when looking at this painting? 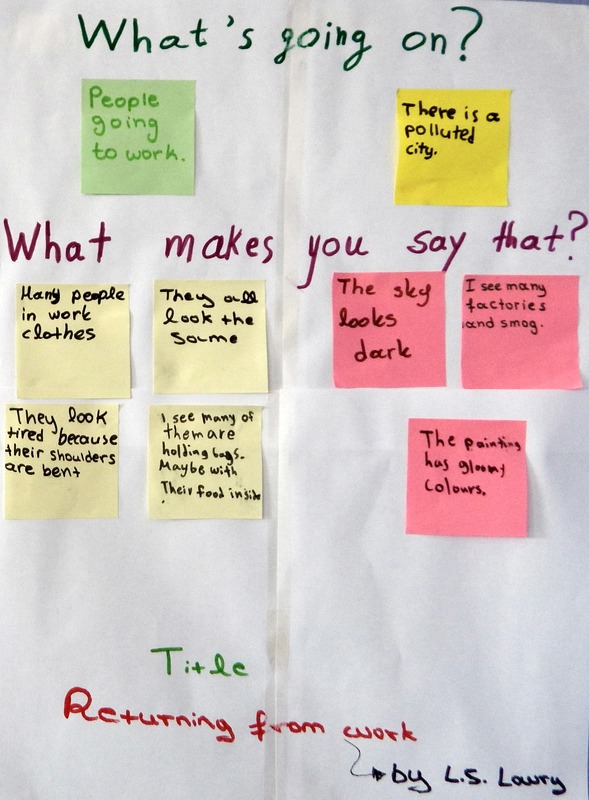 We used sticky notes to document the ideas that we shared during classroom discussion. Their answers to the What’s going on? 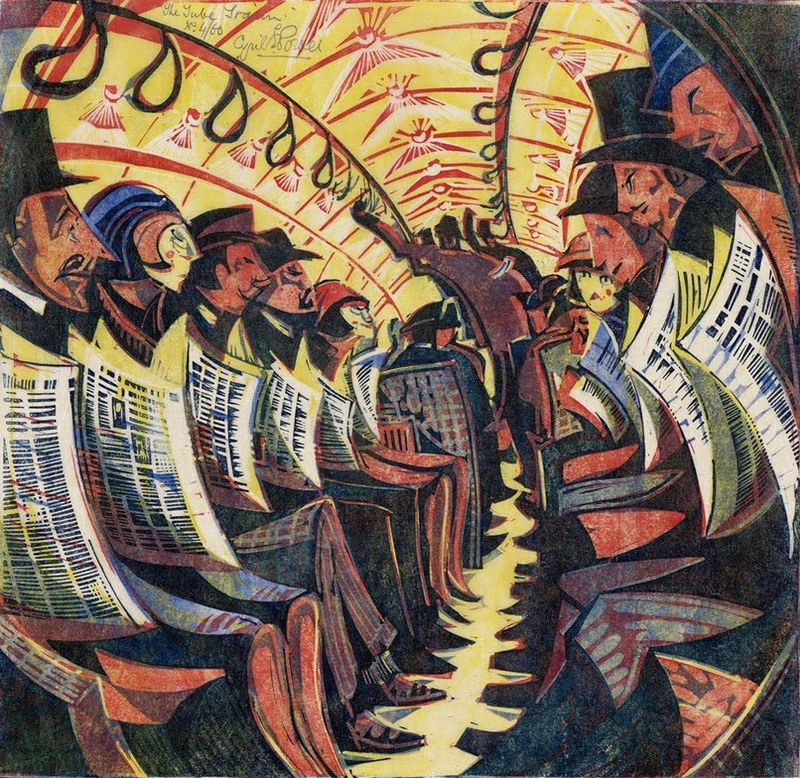 prompt fell in two groups: some obvious remarks about the scene depicted in the painting suggesting that these were people sitting on a train or on the metro and their thoughts about the people in the painting. They noticed that the people looked angry and sad. By asking What do you see that makes you say that? they began to observe more carefully searching for details that would justify their responses such as: “I can see handles at the ceiling, I see the place has a circular shape, I see they are holding and reading newspapers and people often read newspaper at the metro”, but also “I see that they aren’t smiling, they don’t care about what’s going on around them”. Some more final thoughts were added like “they are tired because they live a routine life or they are only interested in themselves”. 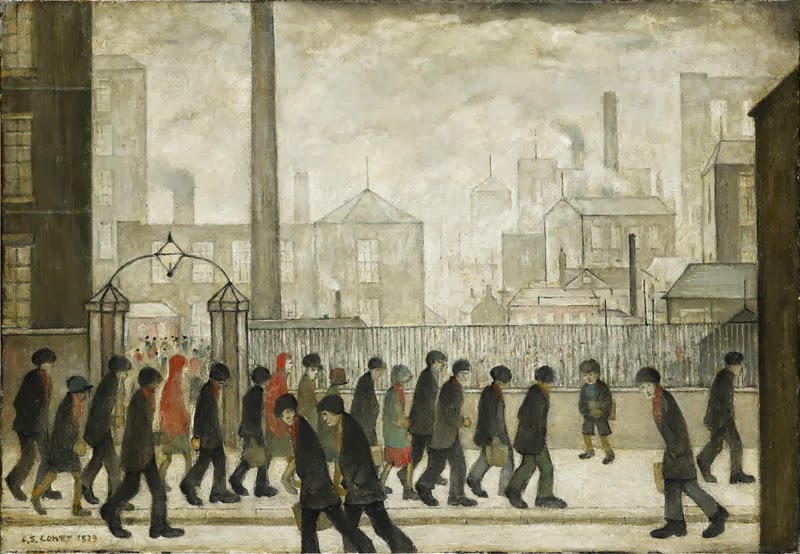 We worked on the same routine with Lowry’s painting Returning from work. We needed two forty-minute teaching sessions to complete the What makes you say that? activity. In the end, we discussed how the people in the paintings might feel, how we felt by looking at them and what the common elements in the two paintings were. By the end students had identified that we would be dealing with aspects of modern urban life. When we finished the topic of urbanization we worked on a short improvisation. First, we brainstormed around city life and reflected on the questions: “What do you think someone living in a big city may be thinking? How do you think he/she may be feeling?” Think of your personal experience, your family’s and friends’. Students’ ideas were diverse and after sharing them we shot a short video where their body language was highly influenced by the details we had discussed in Power’s and Lowry’s painting. You can watch the video City Life here. The full lesson proposal on urbanization is here. The What makes you say that? routine draws on the Visual Thinking Strategies (VTS, Housen, Yenawine & Arenas, 1991). You can read more about the VTS method here and the VT routine here. 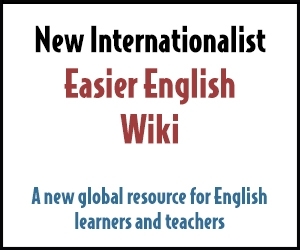 Just to let you know that we’ve shortlisted this blog post for this month’s TeachingEnglish blog award and I’ll be putting up a post about it on today’s TeachingEnglish Facebook page http://www.facebook.com/TeachingEnglish.BritishCouncil, if you’d like to check there for likes and comments. 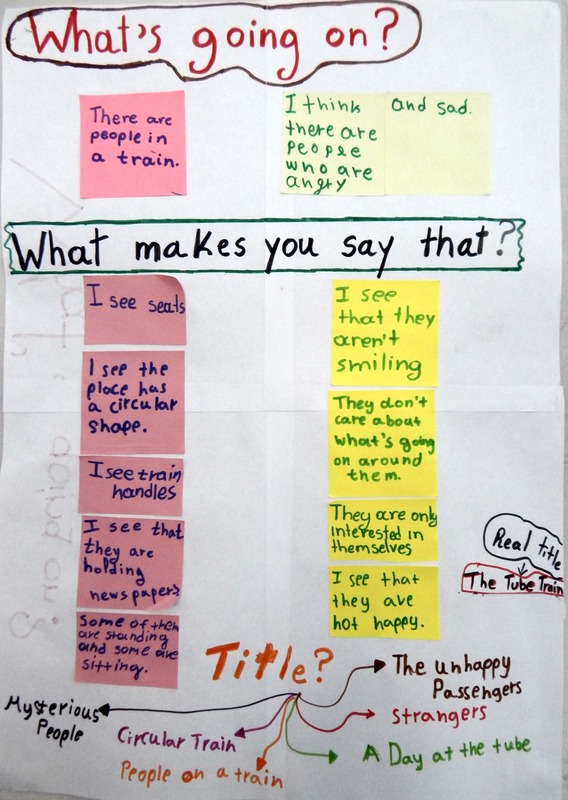 Excellent idea, well-organized lesson, based on the combination “critical thinking-language skills-art”! Thank you for the extra links! Mary, thank you. 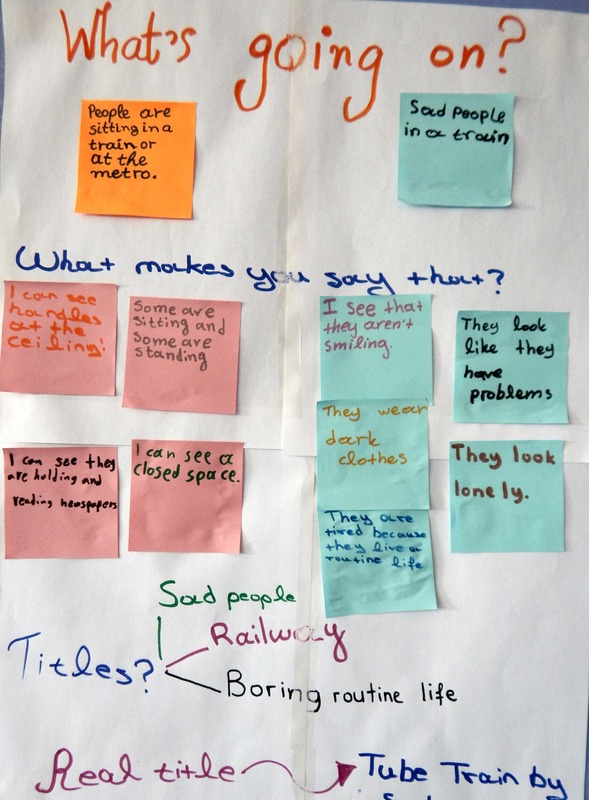 I’d say that it’s more into creative thinking than into critical thinking in the sense that what we’re aiming at here is having students observe closely and describe, generate a multitude of ideas, make connections and, of course, reason with evidence. Thanks again for your comment. Happy the extra links are useful. Take care.